UL Certification for the IONIFLASH MACH ! 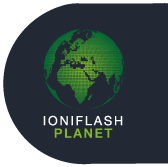 The IONIFLASH MACH ESE obtained successfully the UL (Underwriters Laboratories) certification N° E493082, given to the only ESE in the world to be certified GHG Diagnostic 33 kg eq.Co2. This very coveted American certification rewards the high liability level of the ESE IONIFLASH MACH, already installed on more than 45000 sites worldwide.